September | 2011 | Ipoh Mali Talak Sombong! 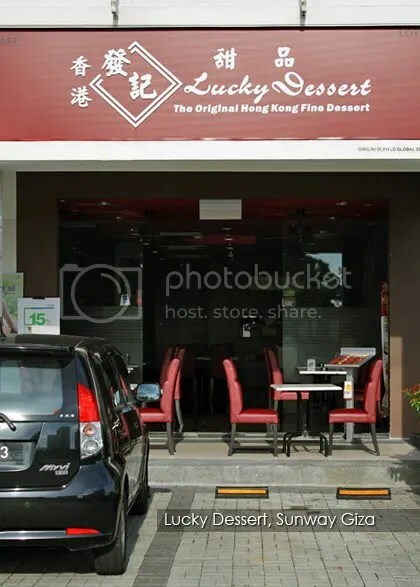 We are lucky indeed, when Lucky Dessert (發記甜品), one of the most famous dessert brand which originates from Hong Kong has finally made its way to Malaysia in October 2010. 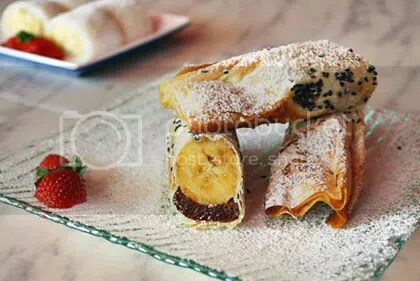 Established in year 1998 starting from a small countryside shop in Sham Tseng, Lucky Dessert has expanded over the years into 8 outlets at most of the prime locations in Hong Kong. The name might be unfamiliar to our local market but it is one of the well-known dessert chain in Hong Kong. 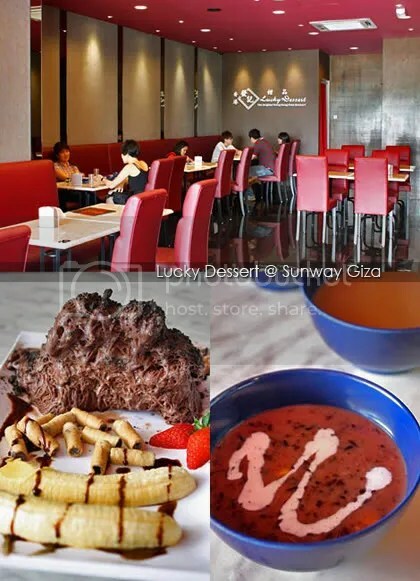 LD Global Sdn Bhd, the master franchise of Lucky Dessert decided to bring the brand out of Hong Kong for the very first time last year and opened its first overseas franchise at Sunway Giza, Petaling Jaya. Nondescript and simple, the interior is decorated with a palette of maroon and brown. There is a non air-conditioned corner for smoking patrons. 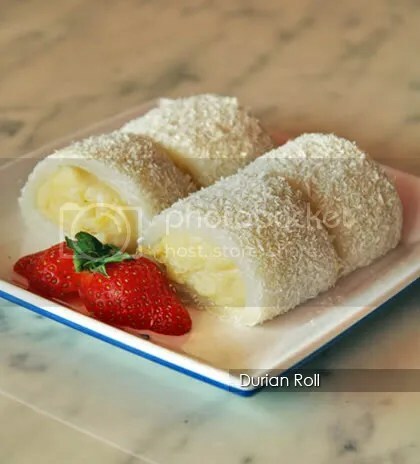 Wide selection of desserts to choose from (people with sweet tooth will be spoilt for choice), divided into different categories, such as fruit-based, traditional hot favourites, shaved ice and non-liquid type. 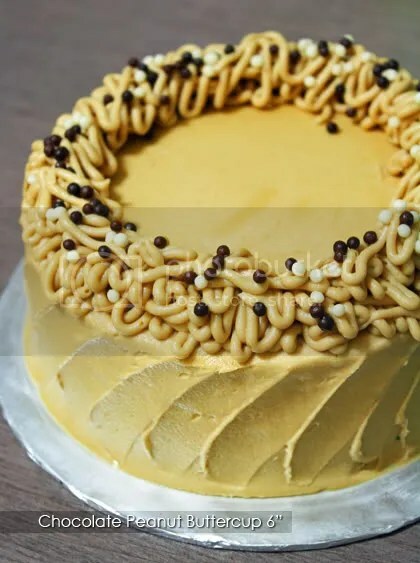 Their best-sellers are the durian and mango based desserts. 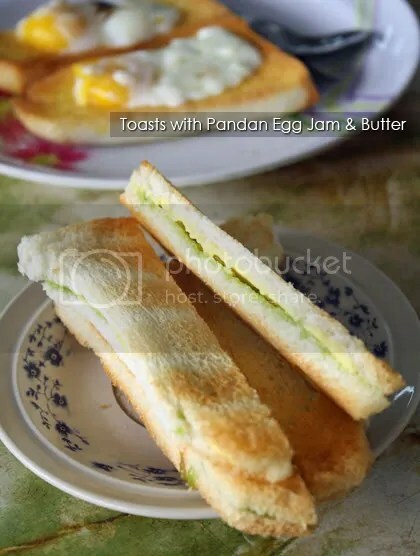 For durian lovers, it is almost a spontaneous act that one must have their Trinity Durian Delight (thick chunks of durian meat coarsely pureed with sago), Durian Wrapz and Durian Roll. 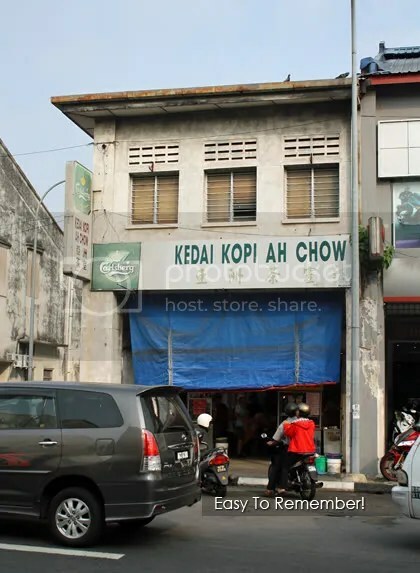 They uses only D24 durians and are sourced from local supplier (while mangoes are sourced from Philippines), which yields a nice balance of sweetness and durian flavour in each mouthful. 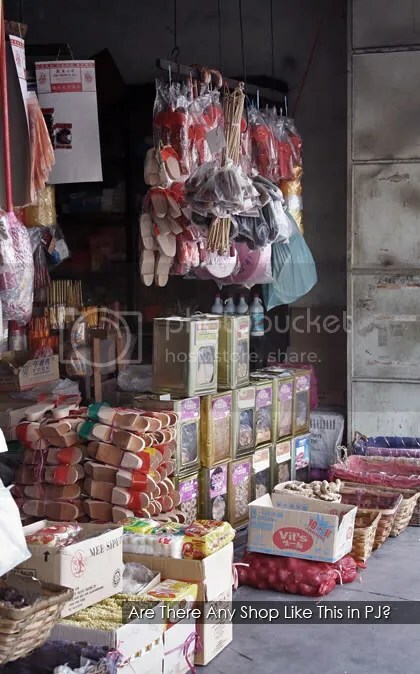 The Banana Krisp is something we have never seen in Malaysia before; the banana was wrapped in a thin layer of sheet and then baked to perfection. The skin which resembles phyllo sheet retains its crispiness even if you left it at room temperature for some time. For shaved ice, try the Chocolate Shaved Ice, which was surprisingly served in a flat dish instead of a bowl. Lucky Dessert insisted that they use imported chocolate for this item. It wasn’t too sweet but every spoonfuls were bursting with cocoa taste. It melts fast in our local hot weather, so it’s best to enjoy it immediately. 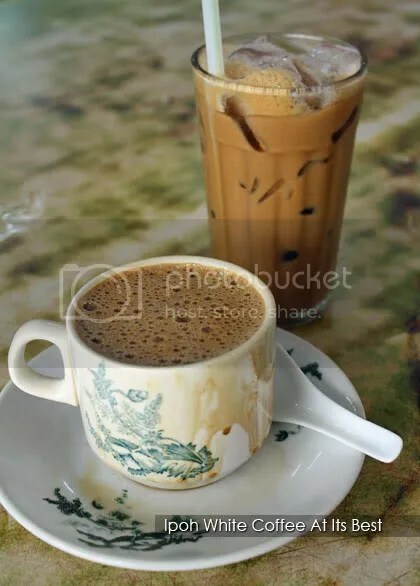 As for hot dessert, try their unique Lucky Purple Rice or Lucky Chestnut. The purple rice is finely blended into thick consistency, paired with sweet corn kernels, yam cubes and finished with a swirl of coconut cream. 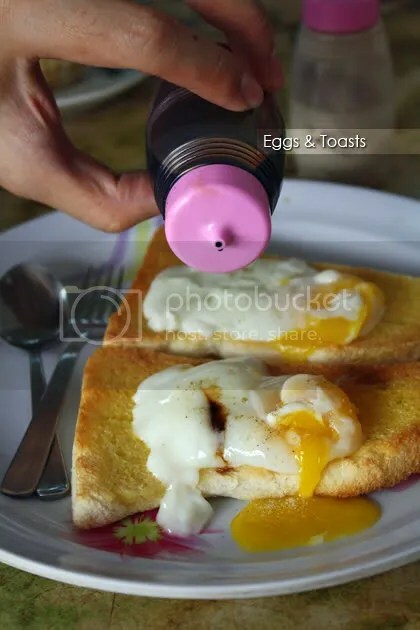 Definitely something new that is not available at other places. New on the menu: Lucky Dessert is putting up combo sets for one person and two persons respectively starting 1st April 2011. 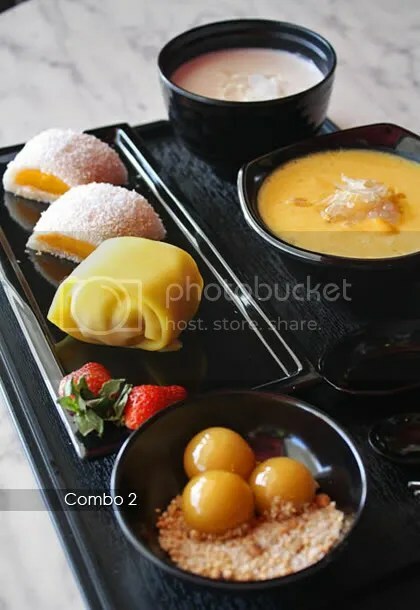 For Combo 1 (one person), there will be 3 items (glossy, chewy glutinous rice balls with crushed peanuts, mango/durian pancake and one hot dessert (choose from any hot dessert selections). 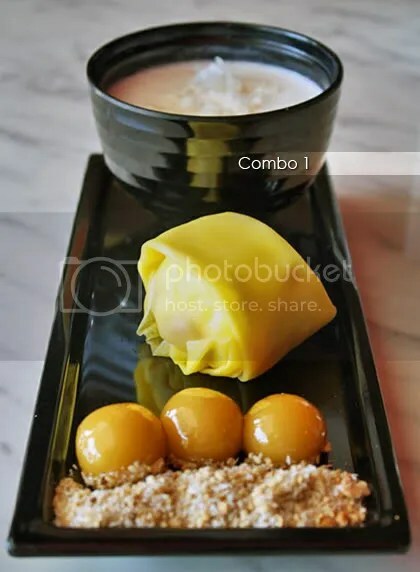 For Combo 2, there will be 5 items (glutinous rice balls, mango/durian pancake and rolls, Trinity Durian Delight or Trinity Mango Delight and one hot dessert. 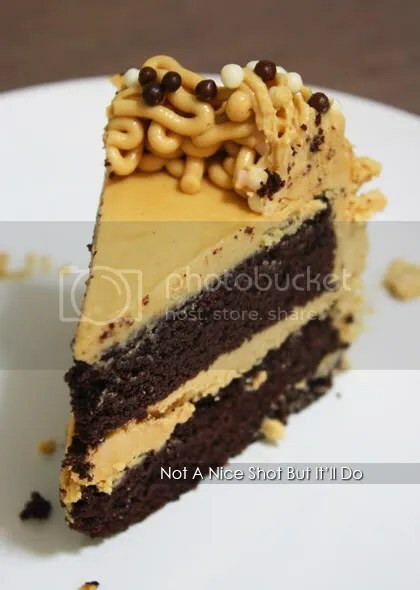 Verdict: Lucky Dessert indeed did not compromise on the quality of the ingredients used in their desserts, which is good news for those who go for quality. 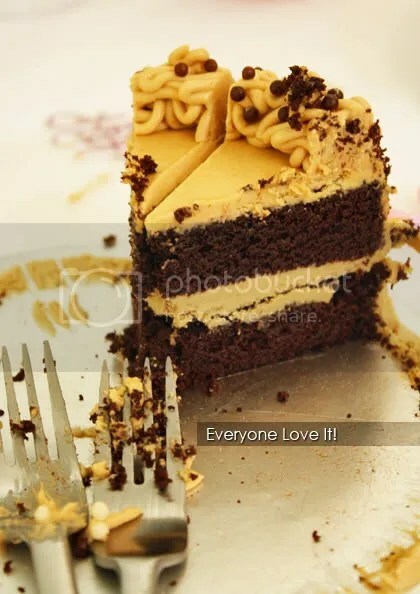 We were ensured that no additional colouring and preservatives are used here and all their hot and cold desserts are prepared fresh daily. *Yiling said that there are some hit and misses.